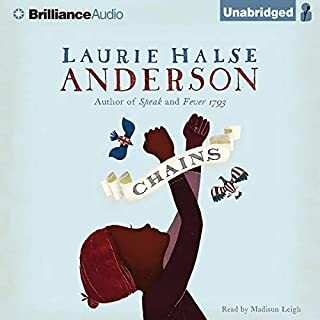 Chains by Laurie Halse Anderson was a captivating, emotional, suspenseful story of Isabel Gardener. This novel was truly a spectacularly written work of art, which greatly portrayed the longing for freedom and the everlasting loss and gain of hope. The action and suspense in the novel truly added to the overall mood, and tone of the storyline. When you pick up this novel, Mrs. Anderson gives the reader the ability to take a journey thorough Isabel's mind, and makes you feel as if the bees are also inside of you. I recommend this novel to any that have a passion for reading, and are prepared for the scarily true ways of the world during the 1700s.